True to character, the people and the campus of Vasant Vihar of the Krishnamurti Foundation of India (KFI) are quietly observing the passing away of one of its tall leaders – educationist Ahalya Chari. The 92-year-old passed away on Saturday. 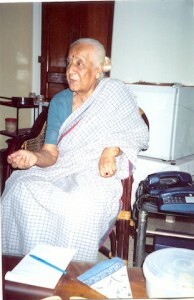 She had made this campus on Greenways Road in R A Puram her home after a hectic and exciting life as an educationist. 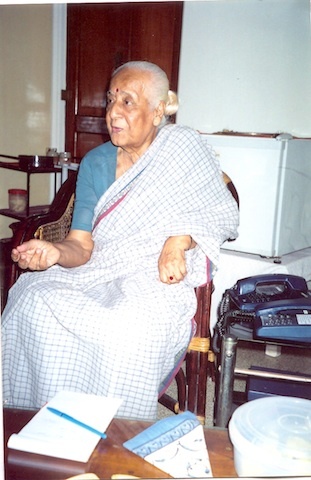 Ahalya started her career in north India as a teacher and came under the influence of philosopher J. Krishnamurthi and began to be associated with the Foundation’s educational projects. She went on to head KFI The School in this city, pioneering the open schooling system and this experience she shared when the NCERT planned its school syllabus and teaching methods. She was also a member of key educational bodies n the country. This entry was posted on Monday, April 1st, 2013 and is filed under Obituaries. You can follow any responses to this entry through the RSS 2.0 feed. You can skip to the end and leave a response. Pinging is currently not allowed.